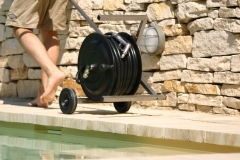 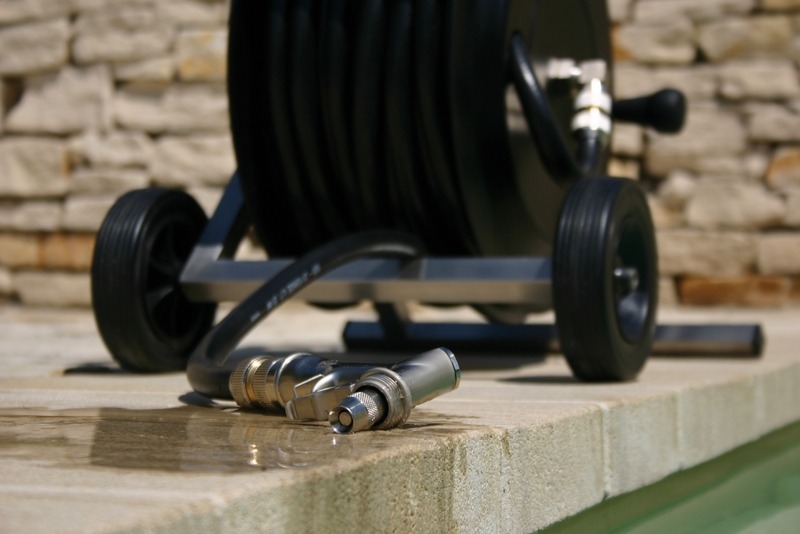 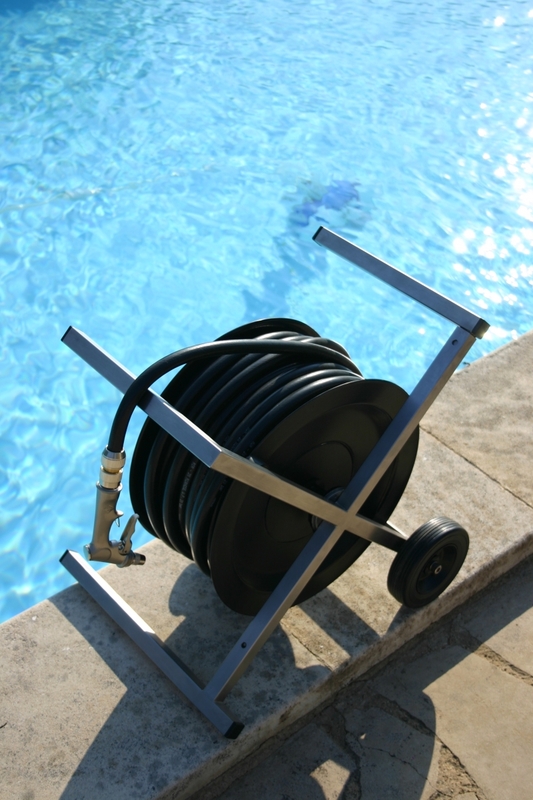 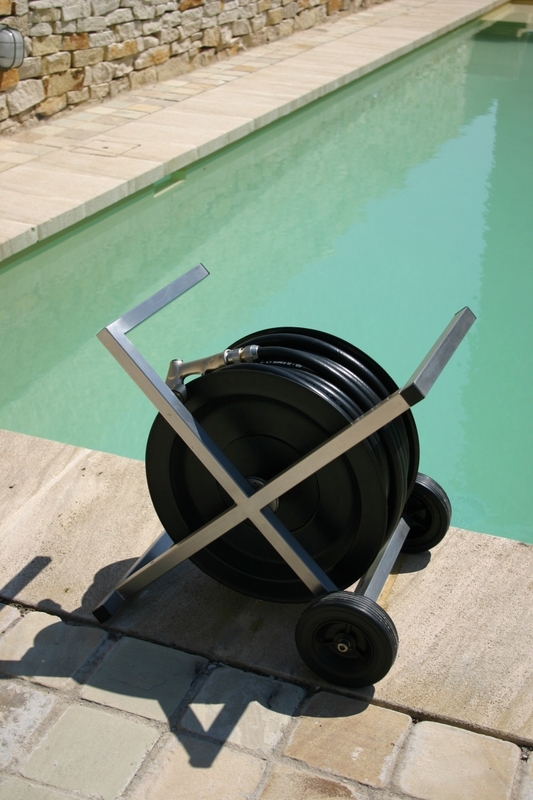 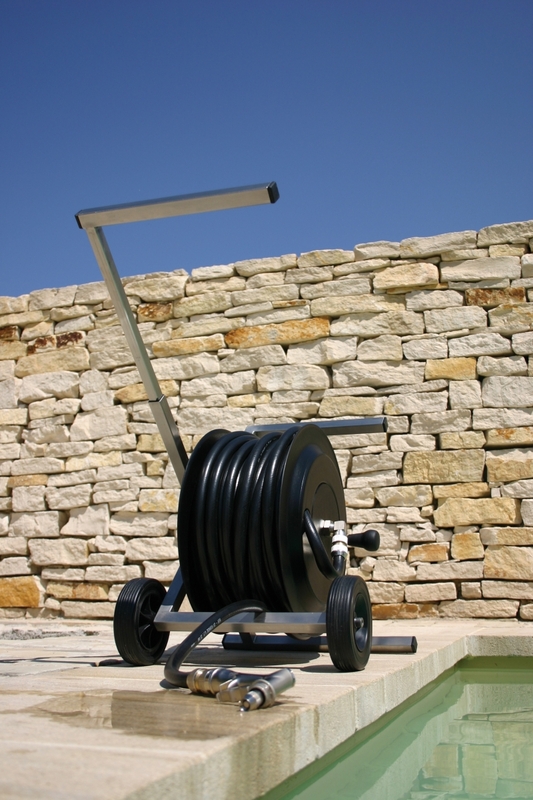 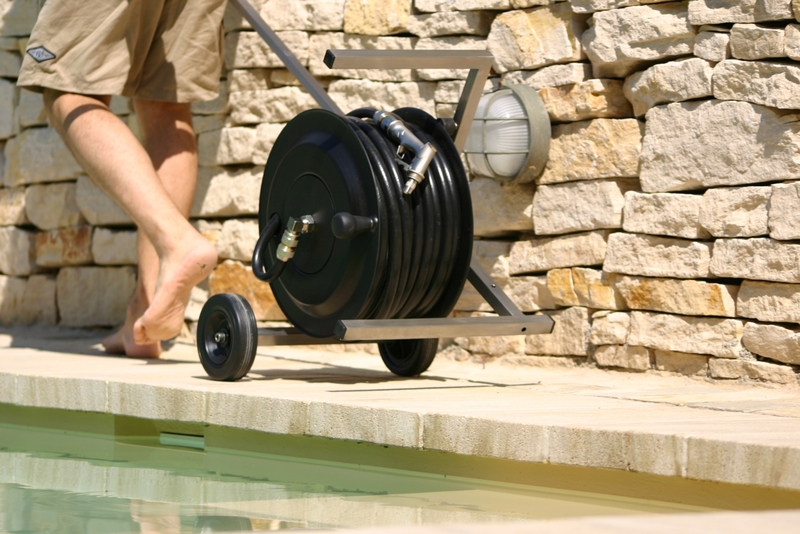 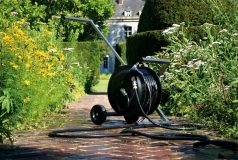 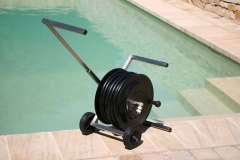 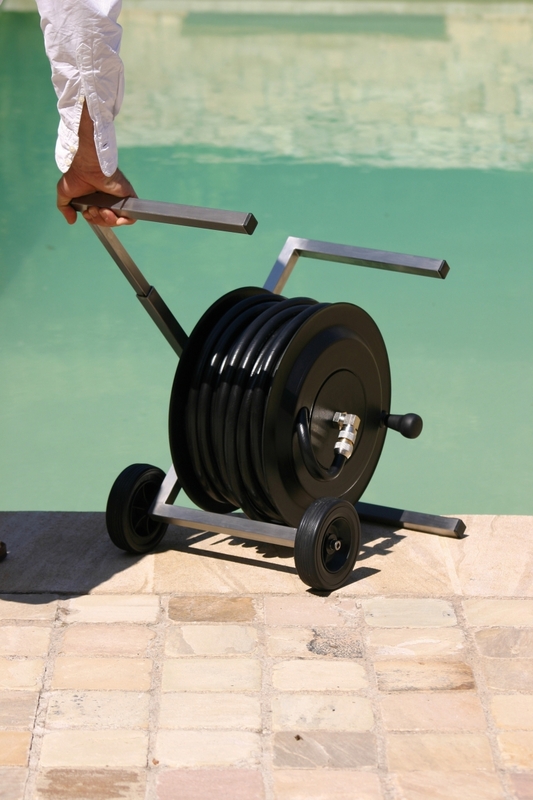 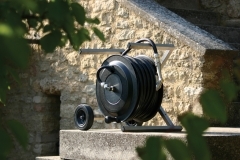 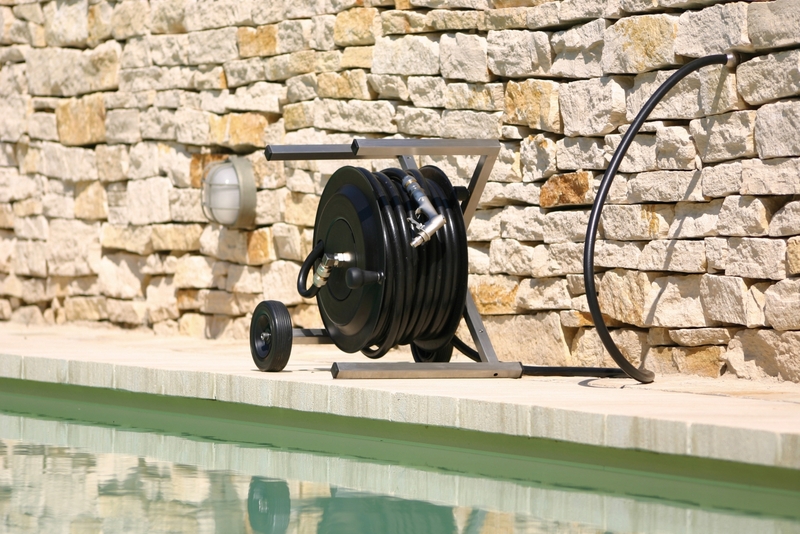 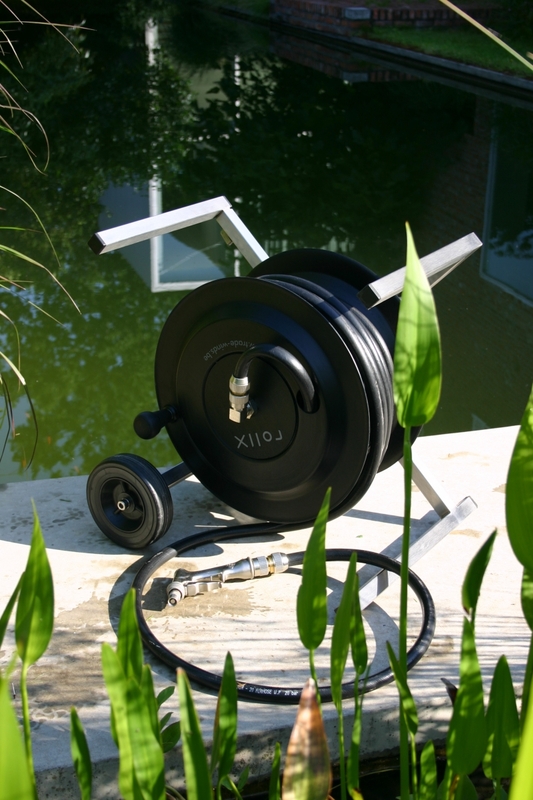 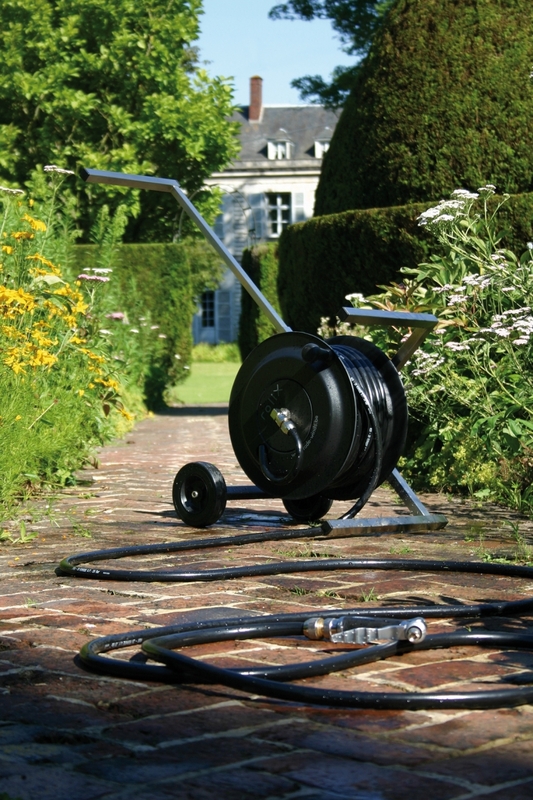 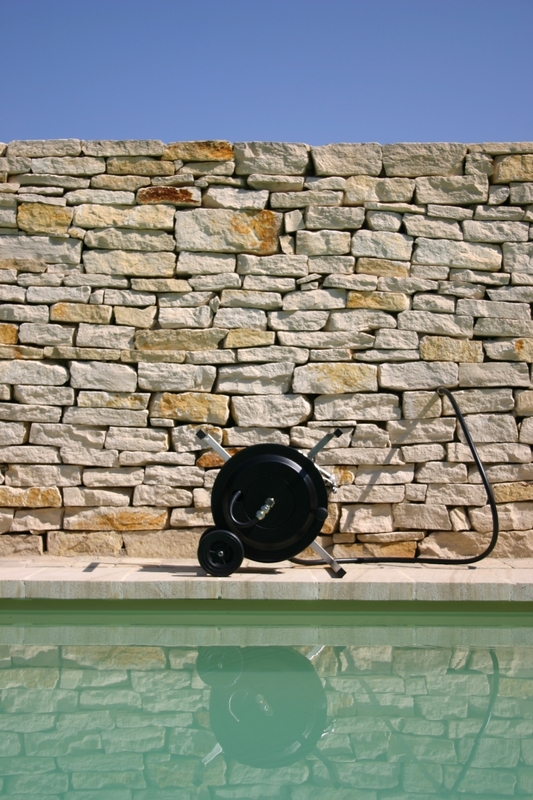 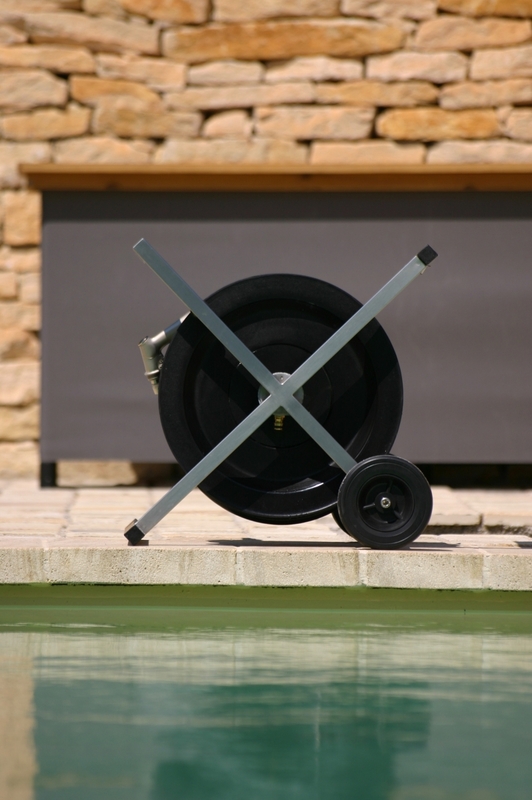 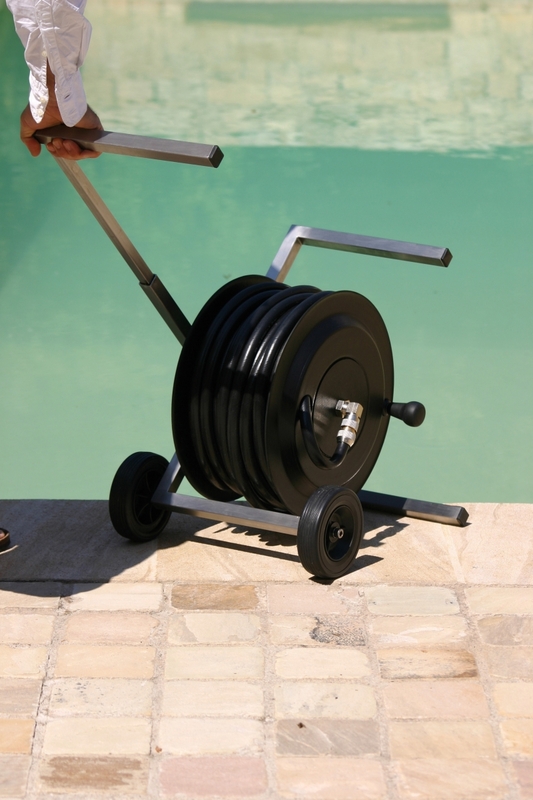 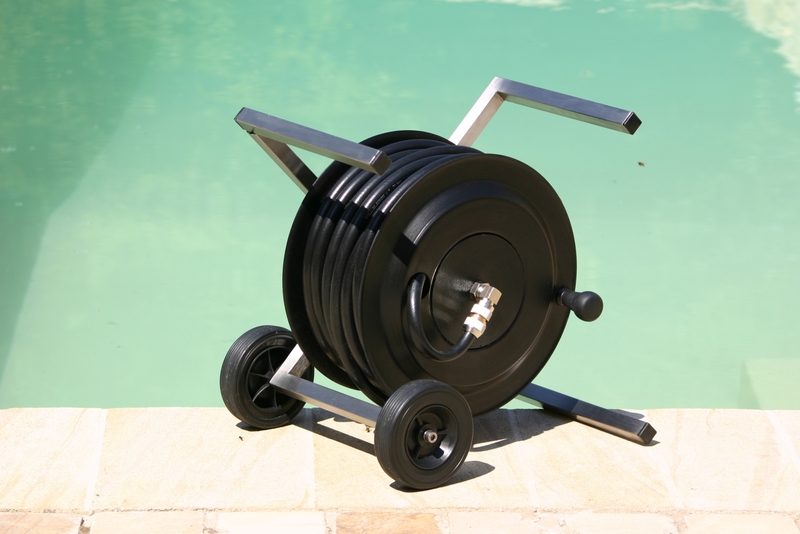 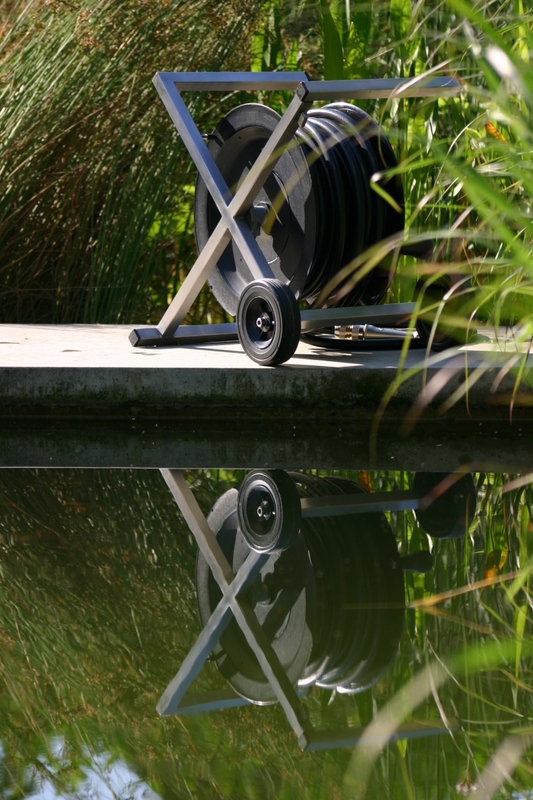 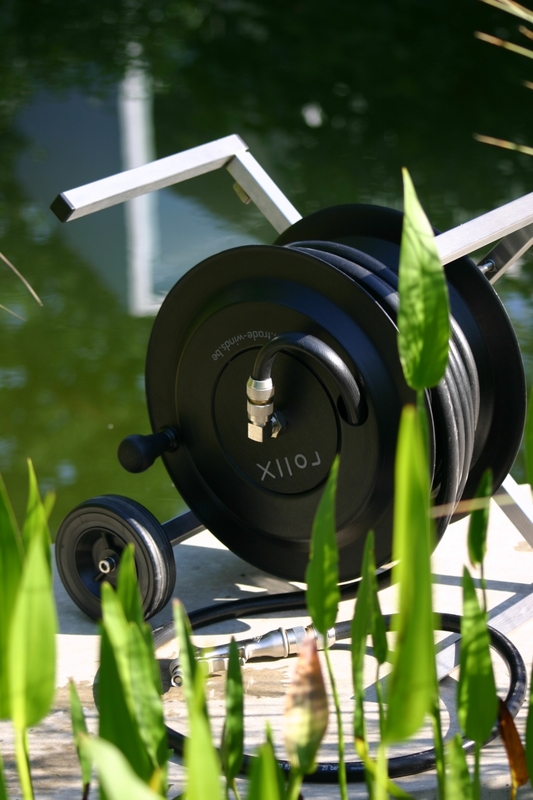 rollX is a compact, clean, minimalist hose reel made out of stainless steel. 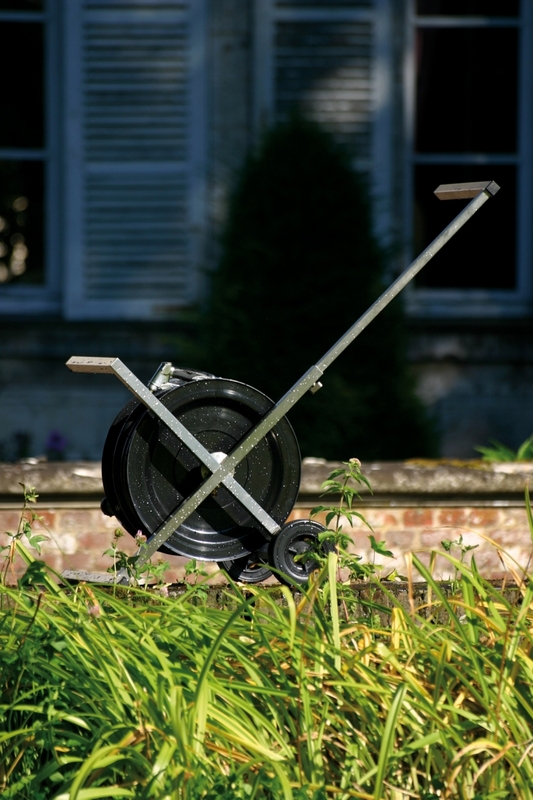 The strong X-frame contains a telescopic handle and two wheels that make it very mobile. 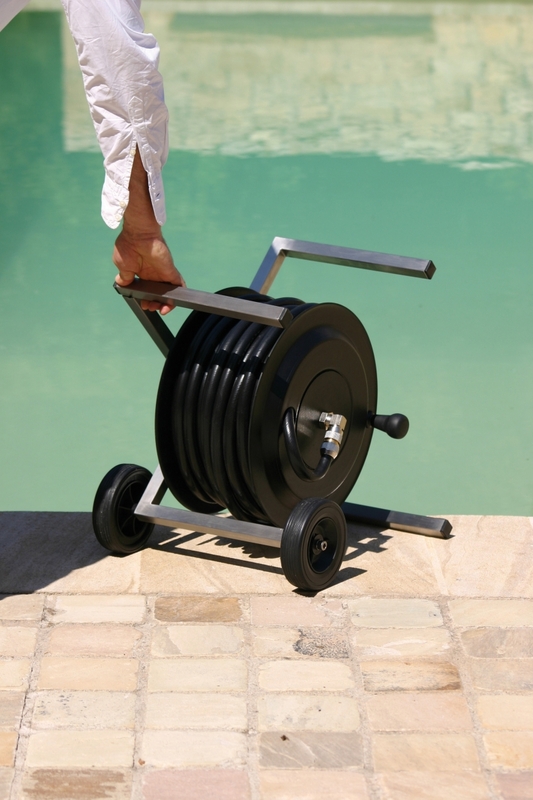 The black rubber hose is 40 metres long and diameter 13-20 mm. The quick-connectors and the professional spray gun are made out of chromed brass. 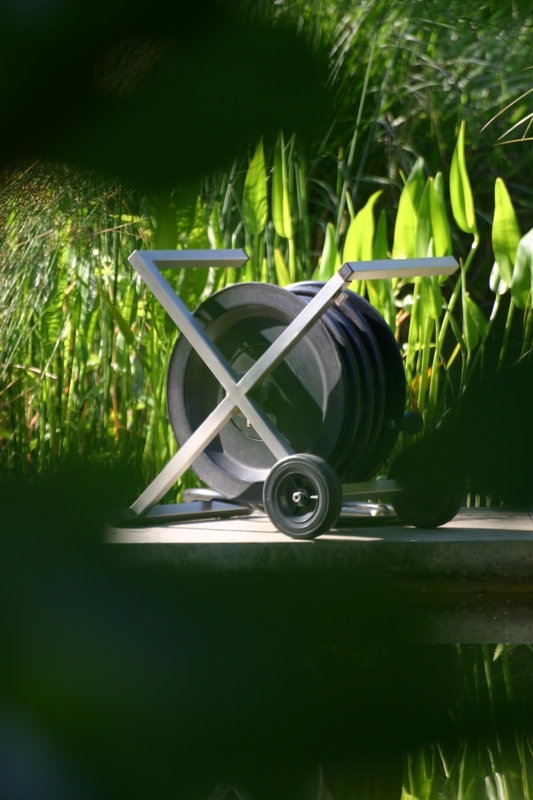 polished stainless steel and black ABS plastic.